In my Beginner Sewing Kit Essentials post, I shared what I considered the definitive resource for the beginning sewist - The Sewing Bible by Ruth Singer . The truth is, there are so many wonderful resources out there depending on what you want to sew and your skill level. 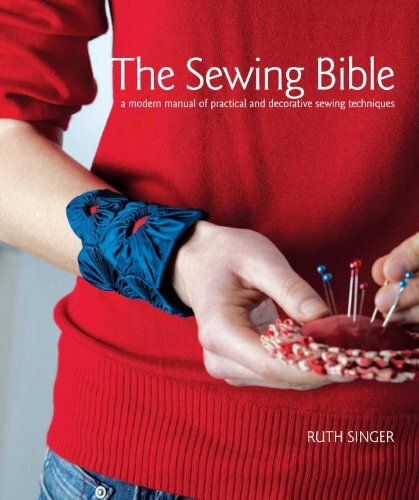 The Sewing Bible by Ruth Singer walks you through the essential techniques with great color images. It also includes many projects where you can test out your new skills! Diana Rupp's Sew Everything Workshop is great if you are ready to try out garment sewing. It walks you through the taking your body measurements and has projects that progress from beginner to intermediate. What makes this books special is it is contains the the Naughty Secretary skirt pattern which Diana teaches your to sew in her Sewing Studio class on Craftsy. Jennifer Paganelli's Girl's World contains patterns for those adorable boutique style dresses seen on young girls in those Pinterest-perfect photos that seem to be everywhere right now. I absolutely adore the Tallulah Halter Dress ! This book also has a few simpler but super girly decor projects that you might tackle with your young sewist if you are already an intermediate sewist yourself. Three is a good start! Watch this spot for the next installments of Sewing Library Essentials!